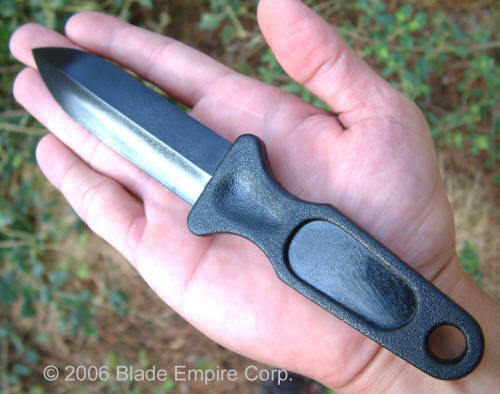 Originally designed for the CIA, the "Glass Knife" enabled "armed" operatives to pass undetected through the metal detectors of our enemies. Our completely updated and re-designed "CIA Letter Openers" features a more sophisticated design, and superior materials. Made from a new, hi-tech material known as "GV6H", this high-quality composite material is non-metallic, non-magnetic, non-absorbent, and extremely durable. Waterproof, won't rust, keep one in your car, backpack, or stash it anywhere. This unit also features a small hole, for attachment to a lanyard or other security device. Still not convinced? 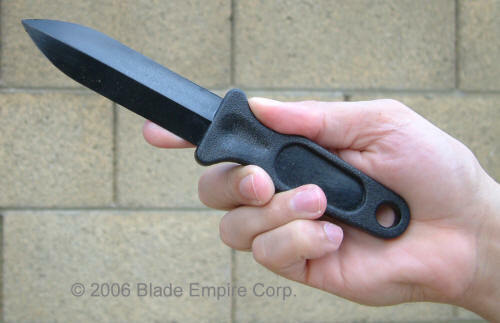 Our knife also has a contoured handle, thumb depression. Even though this knife feels like plastic, it is so tough that we were able to use a hammer to pound this item through a 1/2" sheet of plywood, leaving the unit still intact. Get yours while you still can... Total length, 7 1/2". color: Non-reflective Black. 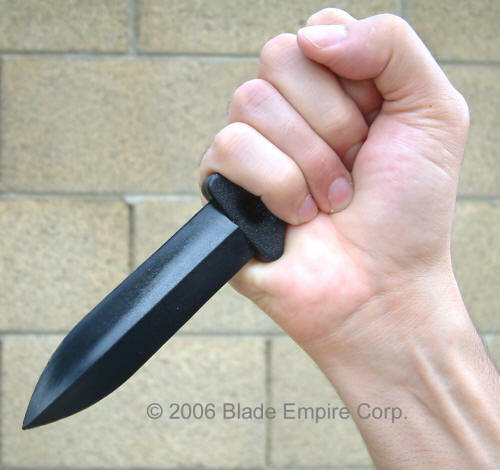 Works well as a letter opener or a self defense weapon.